Today, men and women have two highly effective treatments available to them to help improve early aging symptoms with little risk and no downtime or recovery. These two treatments, Botox® and Xeomin®, should be among the first considered when mild to moderate aging symptoms begin to appear on the face. Both of these treatments are neuromodulators, compounds which relax the muscles responsible for “dynamic wrinkles” which are features formed by repeated muscle contractions and facial expressions. These types of wrinkles naturally appear over time, and if left untreated, can continue to deepen, eventually requiring more invasive procedures. These symptoms commonly include fine lines around the eyes, in the forehead and around the mouth. However, these features can all be smoothed and minimized, safely and with long-lasting results, with a Botox® or Xeomin® treatment. Once treated, further progression of these symptoms can be prevented, and with periodic follow-ups, individuals in many cases can avoid much costlier and riskier rejuvenation treatments almost indefinitely. Clients can now have a Botox® or Xeomin® treatment at Spa Sydell and quickly return to their active schedules. What’s more, individuals can combine these injectables or additional facial treatments to maximize their benefits. Botox® and Xeomin® improve different concern areas in the face, and both treatments combine well with dermal fillers, fractional laser or cryolipolysis treatments to enhance your results. Even when used alone, however, Botox® and Xeomin® provide immediate, natural and long-lasting results with maximum convenience and safety. What do Botox® and Xeomin® treat? Botox® and Xeomin® improve the lines, creases and folds commonly known as “dynamic wrinkles.” These aging symptoms form when facial muscles contract, typically when making repeated facial expressions. These lines form between the eyebrows when an individual squints or frowns or around the mouth when a person smiles or laughs. Dynamic wrinkles also appear horizontally across the forehead as deep creases or fan out from the outer corners of the eye. A comprehensive facial rejuvenation solution will commonly include Botox® or Xeomin® along with dermal fillers to address other aging symptoms which might also be present. These treatments together can help many patients improve a wide variety of symptoms while delaying procedures like a brow lift, mini facelift or full facelift. While patients will need follow-up Botox® or Xeomin® treatments to maintain their results, overall, these injectables provide substantial rejuvenation, convenience and value. Botox® uses small amounts of botulinum toxin, a neuromodulator, which serves as a muscle relaxant and temporarily arrests the muscles which cause dynamic wrinkles. This neuromodulator remains active for many months. While Botox® has many other medical uses, as a cosmetic treatment, Botox® is highly effective in reducing and preventing wrinkles in the upper portion of the face, such as the lines between the eyebrows and in the forehead. You will receive your Botox® treatment through injections into the concern areas during your office visit. The treatment often takes less than 30 minutes, and you can immediately resume your active schedule without downtime or recovery. What are the benefits of a Botox® treatment? What areas can Botox® treat? 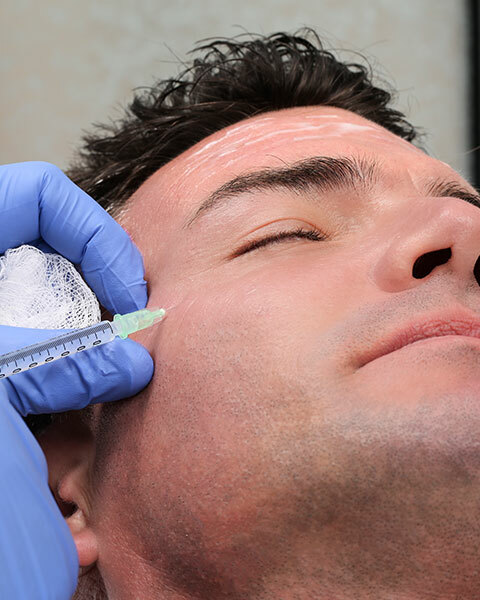 What results can I expect from Botox®? While some recipients may see immediate results, most will see results in the following days post-procedure. Full results usually can be appreciated within two weeks of treatment. A refreshed and rejuvenated appearance will continue to develop over the next three to four more months and can last up to six months. Periodic follow-ups will be necessary to maintain your results. If you continue with your treatments, you can enjoy long-lasting rejuvenation without having more invasive procedures. Xeomin® is the product of a highly-advanced manufacturing process which ensures that the injectable contains only the active agents which will most benefit your skin. The injectable does not contain any non-active proteins or compounds which limits your exposure to unnecessary ingredients and reduces your overall risks. As with Botox®, you can have your Xeomin® treatment at Spa Sydell in less than a half an hour and return to your daily activities with no downtime or recovery. Xeomin® is the product of a highly-advanced manufacturing process which ensures that the injectable contains only the active agents which will most benefit your skin. The injectable does not include any non-active proteins or compounds, and this limits your exposure to unnecessary ingredients and reduces your overall risks. As with Botox®, you can have your Xeomin® treatment at Spa Sydell in less than a half an hour and return to your daily activities without downtime or recovery. 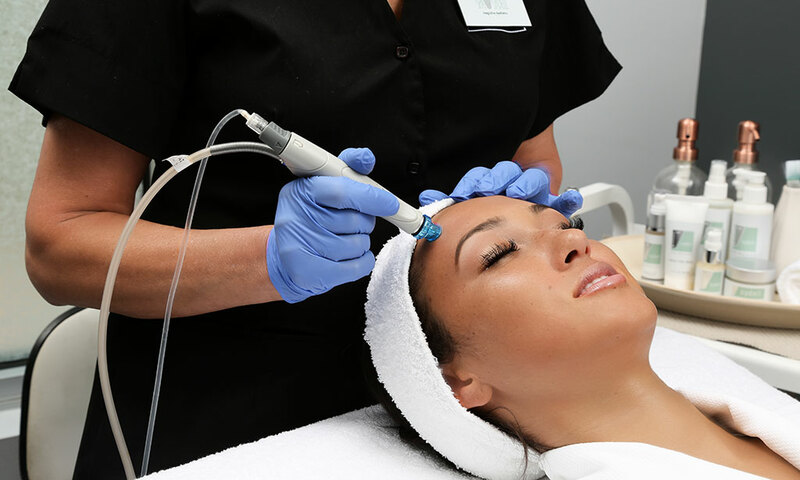 What are the benefits of a Xeomin® treatment? What areas can Xeomin® treat? A Xeomin® treatment is ideally suited to improve frown lines which occur around the mouth. As such, it is an ideal treatment to have along with Botox® which effectively treats lines in the upper facial area. What results can I expect from Xeomin®? Results from Xeomin® include improved frown lines, and these results appear in as few as 5 to 7 days. Full results will appear gradually over the course of the following few weeks, with most improvements visible after about four weeks. Xeomin® treatments produce improvements which can last up to 4 months, though results vary from individual to individual. Xeomin® touch-ups will also be as fast, effective and long-lasting. Atlanta residents can trust Spa Sydell for their Botox® and Xeomin® treatments. Spa Sydell has served the Atlanta community for over 30 years, and its clients have come to rely on its commitment to their health and wellbeing and continue to return. When you visit Spa Sydell, you will experience this commitment through our highly-focussed personal care, relaxed surroundings and bespoke spa and cosmetic treatments. Spa Sydell can ensure the wellness you feel after a restorative day at our spa radiates on the outside as well through a suite of treatments which include fillers, laser and injectables, to name only a few. Using only the safest and most trusted rejuvenation techniques, the recognized medical providers at Spa Sydell can help you achieve and maintain a look that will be the envy of others yet honor the qualities and characteristics that make you individual and attractive. Call or visit Spa Sydell today to make your appointment or schedule a consultation for a rejuvenation treatment. You can reach Spa Sydell at 404-255-7727. You can find everything you need to look and feel wonderful throughout at Spa Sydell.